2 days of sun…in a row? 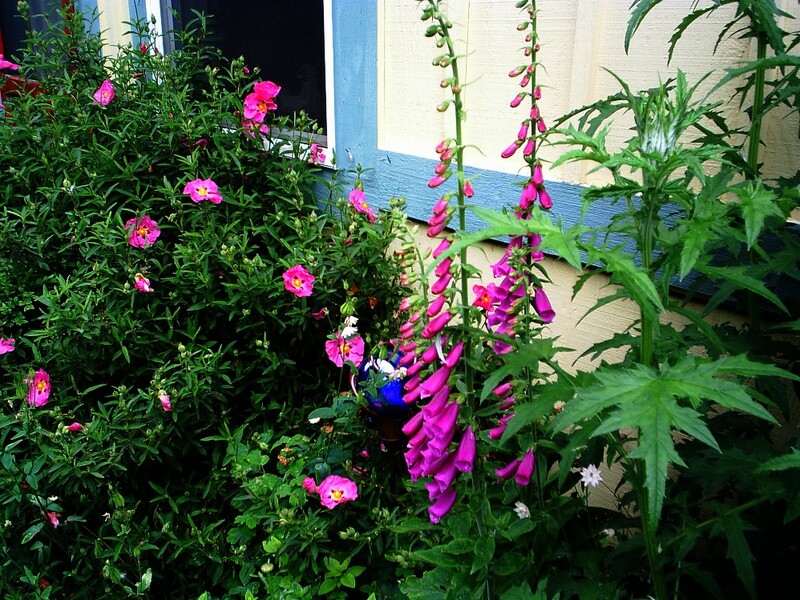 Here is part of the garden on the south side of the house. 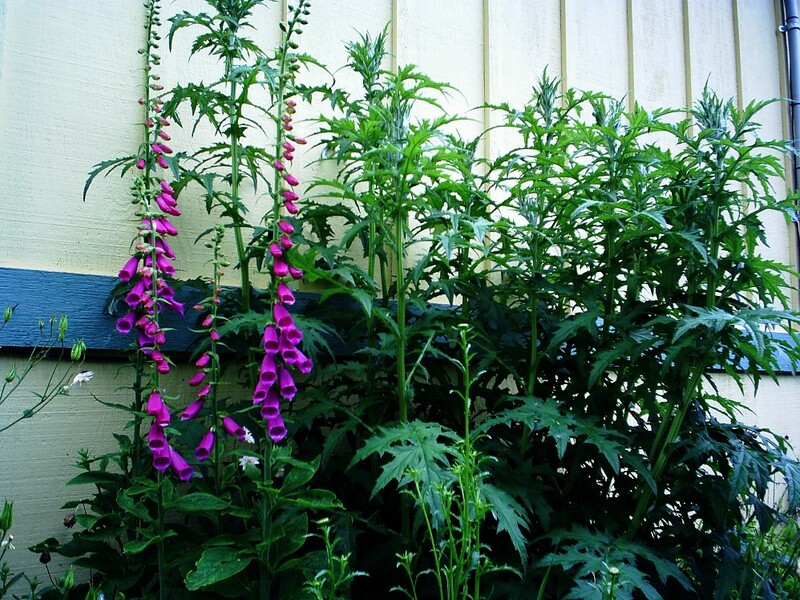 Foxgloves and Globe Thistle. 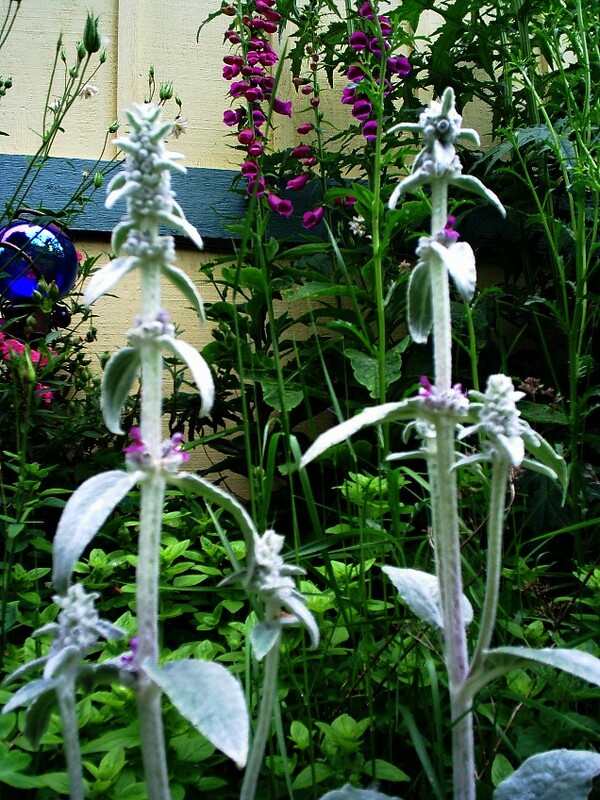 Here is some lamb’s ear that is actually growing out of the bed in the gravel walkway, but we just love the color and the texture of it. 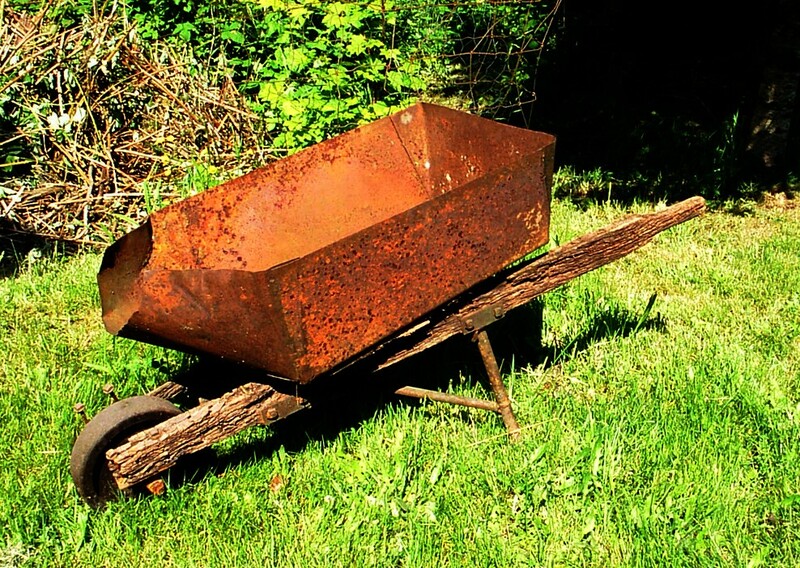 Next is this rusty wheelbarrow that I had found last summer buried in the blackberries, but never got up out of the lowland part of our property. It sat in water another winter, so I thought I better drag it up to the highland. 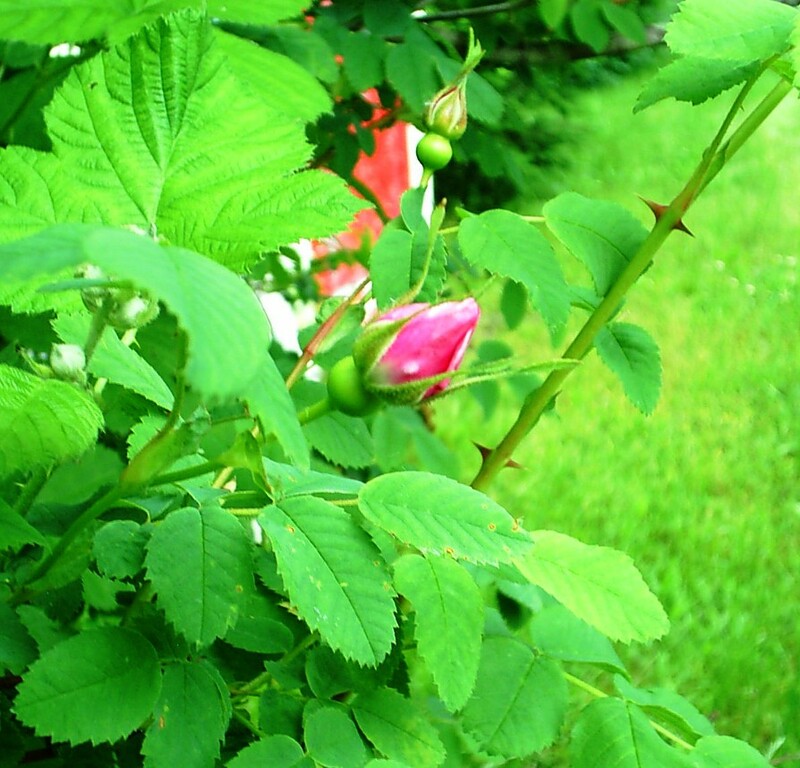 Wild rose bud at the edge of the woods. The woods are filled with these wild roses (which are in constant competition with the blackberries. Love-in-the-midst……just love the name of this, and this picture just doesn’t capture its ethereal presence in the garden. 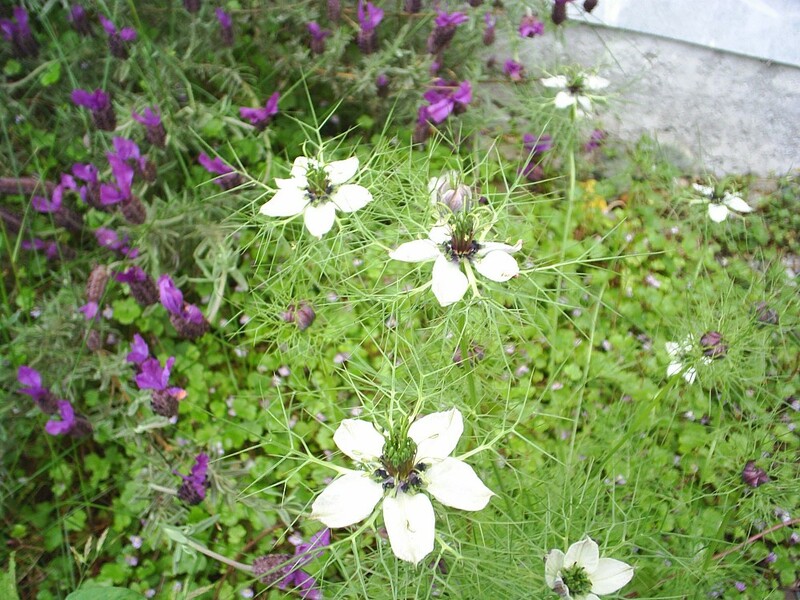 Its foliage is just like a mist…. 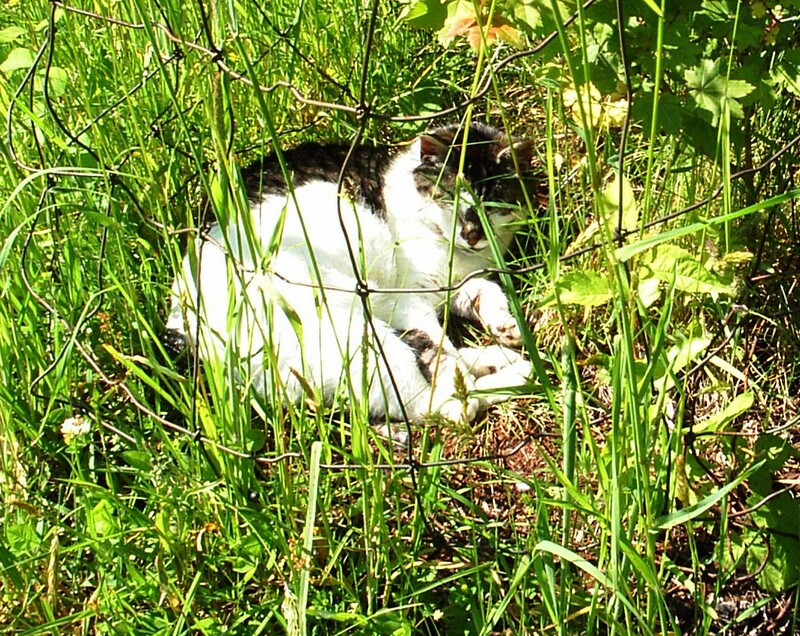 Sassy’s favorite resting space on a sunny day…right under a little maple that I planted years ago, and it has never done very well, but it is good enough for Sassy. 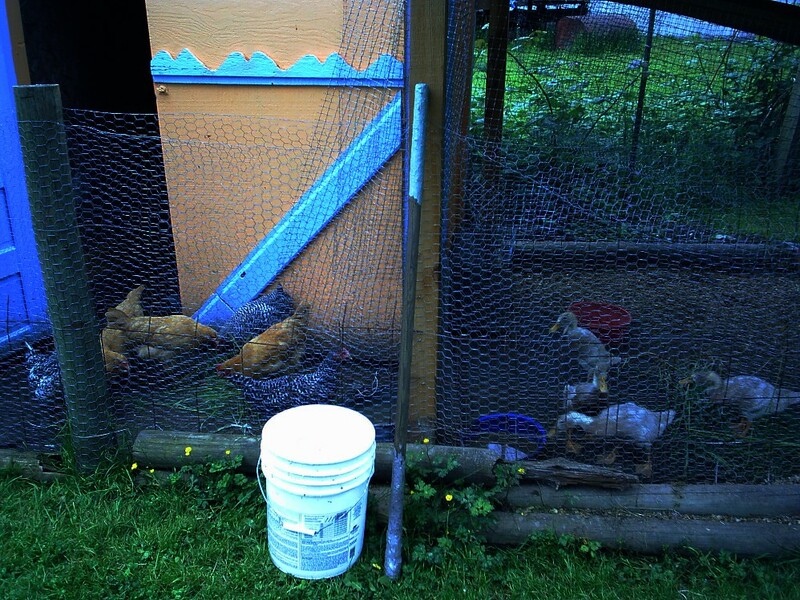 And here the chickens were finally released. I had to spend most of the 14th repairing a fence so that they could be let out. 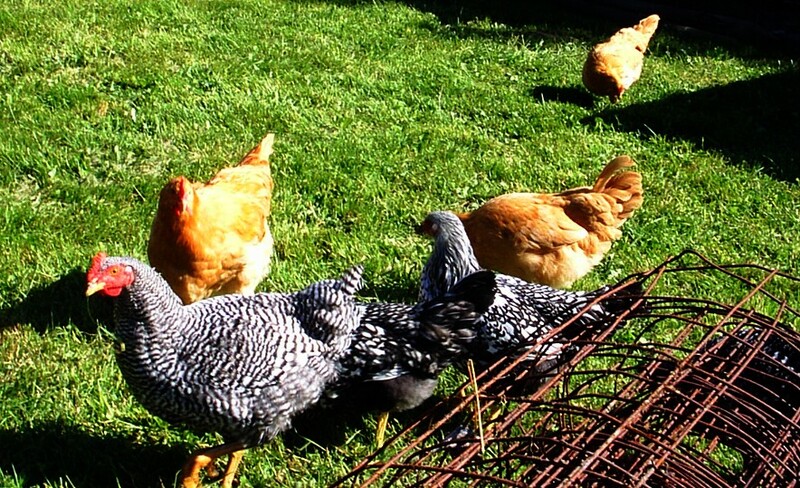 It is truly wonderful to have chickens roaming the yard again. That is it for now. My next entry I will show off my Father’s day gifts from the best wife and kids in the world…okay my world, but yes, they are awfully great to have around that is for sure!! !